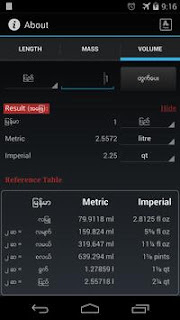 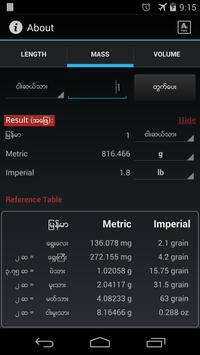 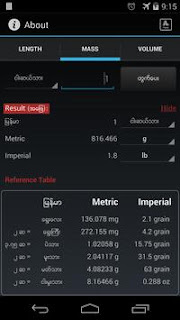 This app is based on the information from " http://en.wikipedia.org/wiki/Burmese_units_of_measurement". 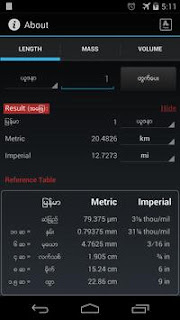 This app can be used offline with the ability to easily reference, compute and use everyday. Myanmar Unit Converter will help you to convert the units from Metric, Imperial and Myanmar Traditional Measurement system easily. Keep in your phone and you can use it anytime when you need it. 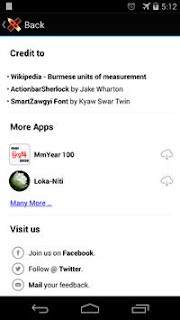 There are 3 categories in this version.